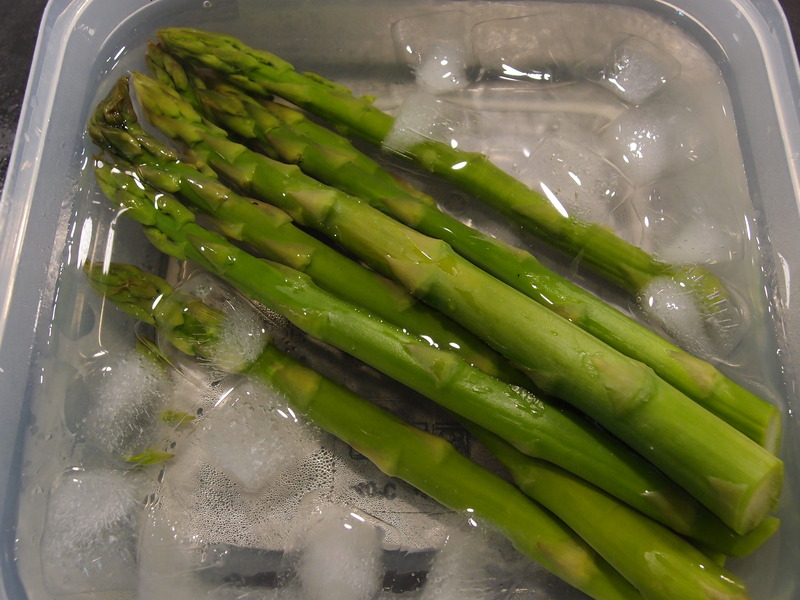 Steam or boil your asparagus. When ready immediately cool down in iced water to keep the vibrant green. 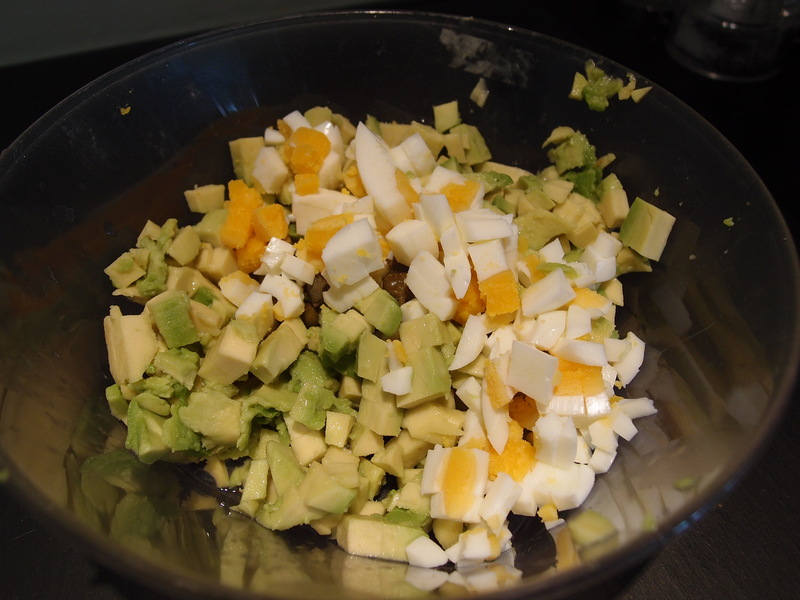 In the meantime cut the avocado, the tomatoes, the egg in small cubes. 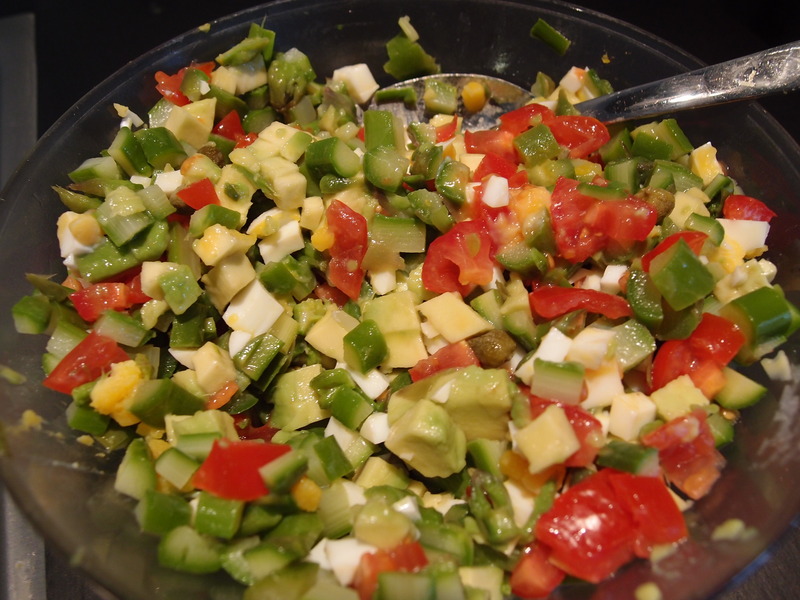 Put everything in a bowl and add the capers and the juice of the lemon to make sure that the avocado doesn’t get dark. 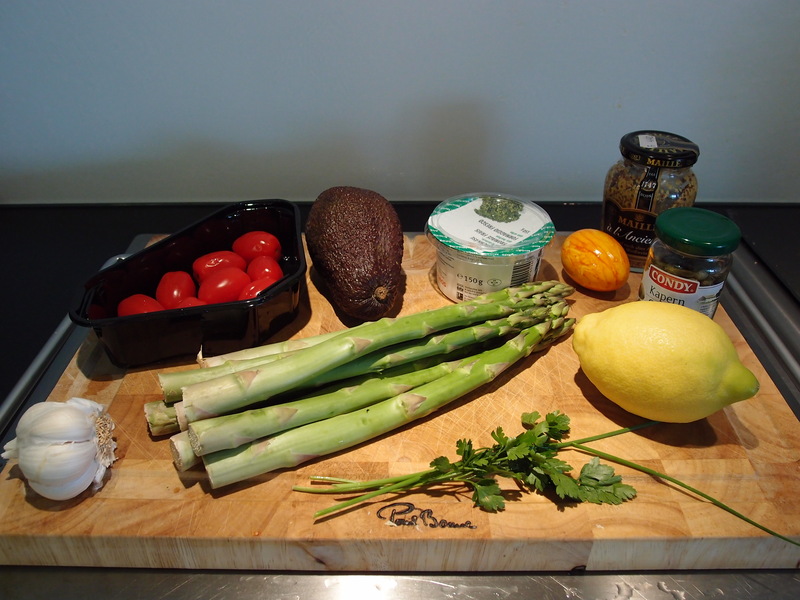 Cut the asparagus in small cube as well and add. Mix carefully everything. Add the fresh cheese and mix again carefully. 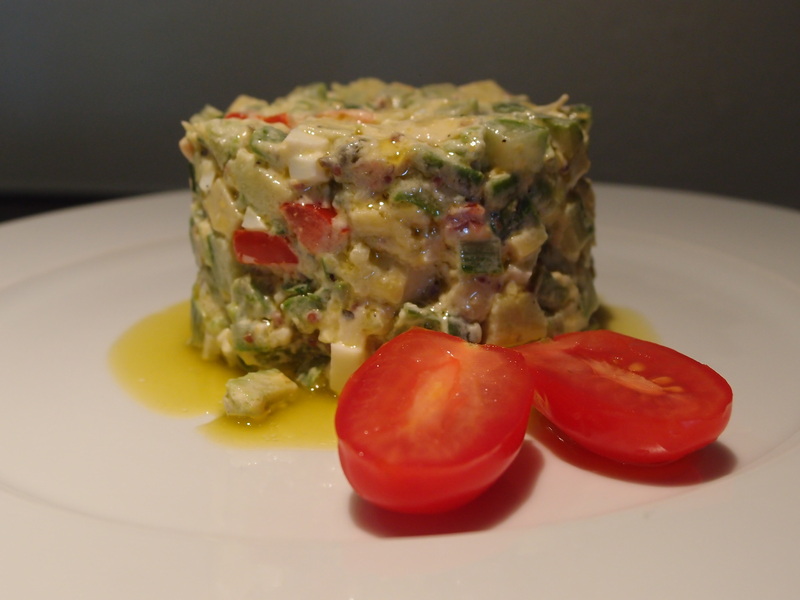 In a salad sauce shaker add the olive oil, the pressed garlic, the spoon mustard, the herbs and salt and pepper. Mix until has a creamy consistence. 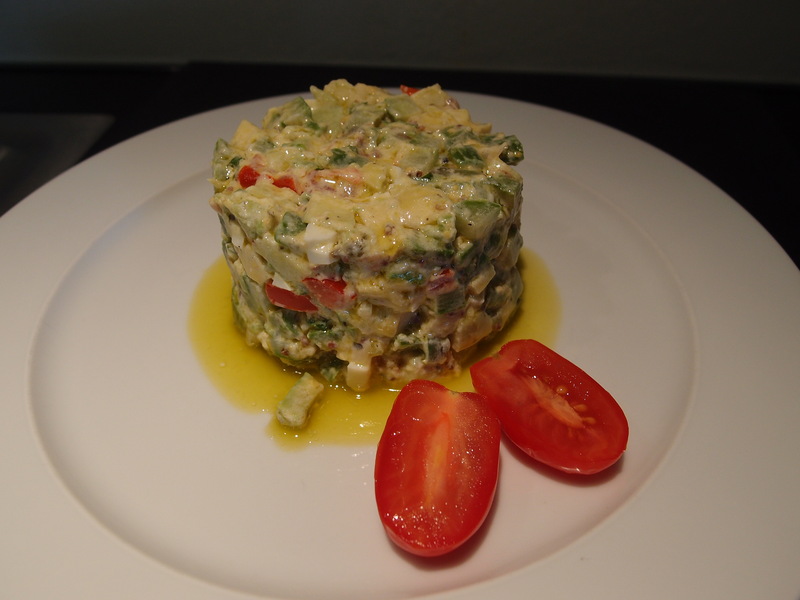 Add the sauce to the tartar, mix well and serve.